I am visiting London to participate in an inspiring conference organized by Kat Jungnickel and Nina Wakeford at Goldsmiths College on “Inventive Enactments of the Social: Transdisciplinary methods of transmission and entanglement.” I spoke about the Sound Ethnography Project while thinking about the recent plethora of sound-oriented archival work being done around me. British Library Sounds explores 50,000 recordings of music, literature, accents and dialects, oral history, environmental sounds, and more. 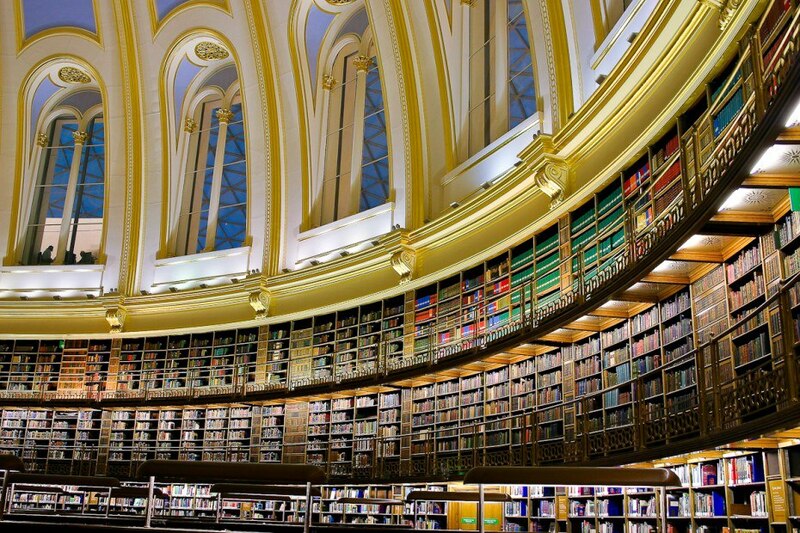 The selection comes from the 3.5 million sound recordings held in the British Library. 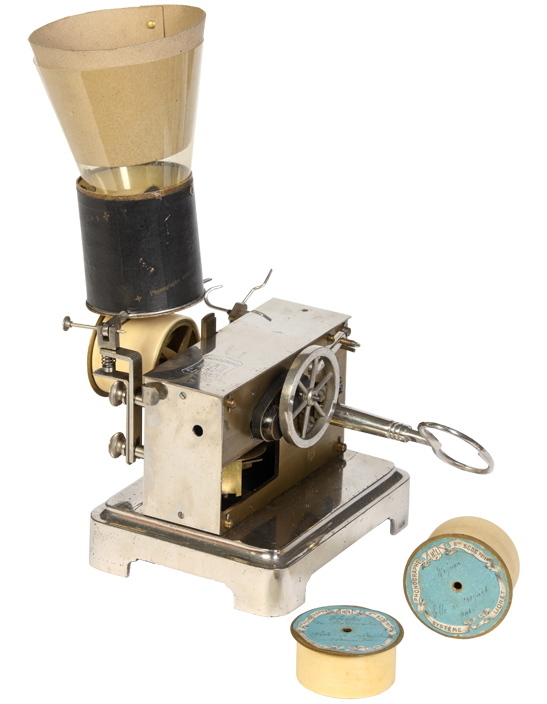 Its sound recording history section features oral histories of recorded sound and fascinating images of various equipment from 1877 onwards. Make noise in the library! Reel to Real at the Pitt-Rivers Museum in Oxford asserts that “no human sense is more neglected in ethnographic museums than sound.” The Reel to Real Project (2012-13) is in the process of digitizing and making available online the hundreds of hours of ethnographic sound which has been donated to them during the last one hundred years. Additionally, they’re organizing workshops on digitizing and displaying sound, talks on topics such as repatriating sound, and sound art exhibitions. These are also available on their SoundCloud. London Sound Survey has the most local focus. Deep and dense, it features sound actions recordings organized by category–economic, officialdom, political, religious, etc. An Irish beggar tells jokes in Camden. A conjurer creates magic in Covent Gardens. An eery siren cries from the Coryton oil refinery to birdsong and oil plumes. 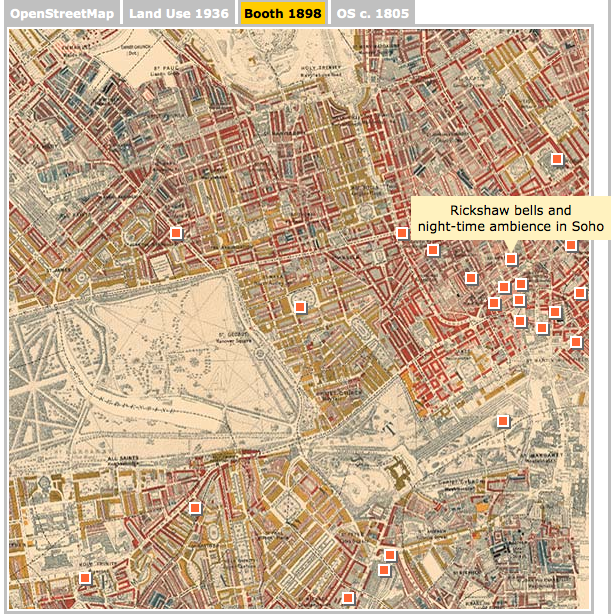 Its All-In-One London sound map features four layers: a contemporary OpenStreetMap, Land Utilisation 1930s (a nationwide survey, much done by schoolchildren), Booth London Poverty 1898 (with color codes depicting relative wealth, commissioned by a social reformer), and Ordnance Survey First Series, published from 1805 onwards. The layers of the map draw attention to the temporalities of sound and space and the problem of singular representation. These layers and extended–and extensive–focus distinguish London Sound Survey from other attempts at mapping and archiving sound. Many presentations of fieldrecordings and sound recordings often fall flat, failing to provide depth or context. Yet this map–as well as the project overall–succeeds at offering endless and beautifully curated sound. This entry was posted in Archives, England, museum. Bookmark the permalink.